Gliebers Dresses: What Are You Hearing? Today, I'm working out of the home office. The phone rings, from time to time. Luke Carson: "Hi Kevin, Luke Carson, CEO of Borsons, how are you doing?" Kevin: "I'm doing fine, Mr. Carson. How can I help you?" Luke Carson: "Say, what are you hearing out there? How was the Holiday season for folks?" Kevin: "I'm hearing it was mixed. Business was up from 2008, but seems to have been fueled by deep discounting. How about your business, Mr. Carson?" Luke Carson: "We beat plan, Kevin, and we're cautiously optimistic about 2010. Say, you've been working with Gliebers Dresses, right? How is their business?" Kevin: "I can't share any specifics, Mr. Carson, you know that." Luke Carson: "I know. I've heard that their business missed plan, and that their loyalty program is costing them a fortune. Anyway, thanks for the info, Kev. Let's do lunch next time you're in town, ok? Bye." Nancy Walsh: "Hi Kevin, this is Nancy Walsh, CEO at Penningtons, how are you doing?" Kevin: "I'm well, Ms. Walsh, how are you?" Nancy Walsh: "Oh, it was a great Holiday, Kev, a chance to see family and friends. Say, what are you hearing out there? How was everybody's Holiday season?" Kevin: "I'm hearing mixed results. Many people are meeting or exceeding plans, though those plans were conservative, not even coming close to where business was in 2006-2007. How about you?" Nancy Walsh: "Yeah, we beat plan, but it was a really conservative plan, and we had to do a lot of discounting to meet plan. The p&l probably won't be great, but we will be clean on inventory. Hey, I heard you are working with Gliebers Dresses. How was their Holiday season?" Kevin: "You know I can't share anything about that, Ms. Walsh." Nancy Walsh: "I heard that their loyalty program is a disaster. Buy four dresses, get free shipping for the year, and then they give everybody free shipping during the Holiday season. How do you build loyalty when you give every customer the same deal you give loyal customers?" Kevin: "Loyalty programs are tough to execute, aren't they?" Nancy Walsh: "Anyway Kev, thanks for the chat, I appreciate it. Bye." Craig Nilmendorf: "Kevin, hi, Craig Nilmendorf here, CEO of Nilmendorfs, how are you?" Kevin: "Hi Mr. Nilmendorf, I'm well, how are you?" Craig Nilmendorf: "We're ok. Say, Kev, what are you hearing out there? How was business for folks this past month?" Kevin: "Oh, you know, folks are saying they beat plan, but had to give it all away in margin in order to get the orders." Craig Nilmendorf: "Yup, same story here. How the heck are we ever going to wean our customers off of discounts and promotions, Kev?" Kevin: "Why they heck did we ever introduce all of these discounts and promotions, Mr. Nilmendorf? Aren't we the problem?" Craig Nilmendorf: "Well, there's a competitive issue at play, Kev, you've got to play the game. You can't be out there at full price suckin' air while everybody else is out there at 20% off with free shipping. Say, let me ask you a question, Kev, you are workin' with Gliebers Dresses, right? How the heck did they do? That loyalty program, that thing really had to help them. I mean, you buy four dresses, and you get free shipping for a year. I'll be that thing was worth ten or fifteen points of improvement. How is it doing, Kev?" Kevin: "You know I can't share the details behind that program, Mr. Nilmendorf." Craig Nilmendorf: "Yea, I know. Anyway, it was nice chatting with you Kev. You know, we've got a few nickels in the budget for somebody like you in 2010. Maybe we can have you set up a loyalty program for us like you set up at Gliebers Dresses, huh?" In my presentation, I described a future where, by 2003, the online channel would represent the primary way that customers shop from a direct-to-consumer brand. My presentation stopped at the slide where I illustrated that online sales would overwhelm telephone sales in 2003. It stopped, because the marketing leaders in the room were busy laughing. They found the notion of online sales outpacing traditional telephone sales in just a few years to be pure folly. In October 2009, I presented similar concepts to a Catalog Marketing Executive. Nearly ten years had passed since my Spiegel presentation. This Executive heard my presentation, and like so many in the catalog industry in the past ten years, rejected the thesis that catalog marketing needed to evolve in response to a world increasingly dominated by online marketing. This Executive suggested that improved targeting strategies would result in a robust catalog business, not an acceptance of online marketing strategies. The decade started with the concept that the online channel was nothing more than "free candy", as the woman said in the Seinfeld episode where George attempted a Twix candy lineup. This concept of "free candy" permeated the decade, and in so many ways, caused us to not fully capitalize on the potential of the online channel. The decade featured a series of pundits promising free candy if folks just did search engine optimization, e-mail marketing, employee blogging, mobile marketing via iPhone apps, a Twitter presence, or went deep into debt to open stores so that customers could buy merchandise online and pickup it up in a store in a flurry of bricks-'n-clicks excellence. Overwhelmingly, on a tactic-by-tactic basis, the pundits were wrong. Horribly wrong. Unaccountably wrong. And this level of error caused so many catalog marketers to feel burned. The catalog executive knew that a catalog delivered $3.50 per catalog mailed, even in a declining environment. What does the employee blog deliver, if anything? Tactic after tactic failed to be as effective as the old catalog. New tactics failed to scale, causing catalog executives to further dig their heels in. The strongest companies I work with are like a well-designed mutual fund. They execute a ton of micro-channel strategies, none of which dominate total net sales. The strongest companies that I work with actively test all new micro-channels, but never expect any new micro-channel to contribute net sales in a meaningful way for a long time. These companies can prove the raw inaccuracy of matchback analytics via well-designed mail and holdout tests across catalogs and e-mail marketing. These companies love the art of selling merchandise more than they love the craft of cataloging. Then there are catalog companies that are struggling. They cling to the hope of catalog marketing being the primary sales generator. They can prove that 80% of total sales are driven by a catalog, based on their matchback analytics. They deride paid search, e-mail marketing, social media, mobile marketing, seo, pay-per-click, affiliate marketing, and any other online endeavor as being a waste of time that results in a pittance of the sales driven by a traditional catalog --- and heck, the catalog caused sales to happen in those micro-channels, so why not just focus on the catalog? These companies love the craft of cataloging more than they love the art of selling merchandise. "Free Candy" damaged the potential of online marketing among catalog executives. And in the new decade, "Free Candy" will become an even bigger problem. A ton of experts will tell you that your HTC Droid phone is the secret to billions in profit, or that Hologram Marketing is the next big wave in customer preference. They will tell you to abandon profitable old-school strategies. They want for you to take risks. They won't be accountable for your failures, they'll suggest you failed to execute their vision correctly. In the next decade, our job is to "sample free candy". We don't overeat, like the pundits suggest. And we don't starve ourselves, returning to our roots --- we won't be in business in 2019 if we do that. As always, I am here to help you work through this transition. Customer Acquisition: Open Your Spreadsheets! Let's run another simulation, one similar to the one we ran last week when evaluating customer loyalty. Open your spreadsheets (e-mail me for your own copy). Using the customer acquisition index row (C6 - G6), enter increases in customer acquisition that yield a business that is generating $80,000,000 in sales in Year 5. There are many solutions that get you to the same answer. Share your simulated results in the comments section of this post. And if you want to purchase the book, click here! Walk down to your Business Intelligence department this morning, and ask them to demonstrate to you how the first twenty pages of your most important Holiday catalog performed, compared with the rest of the catalog. You are probably familiar with the concept of "order starters", the items that are most often listed first in the order a customer places, right? Well, catalogs that perform well are frequently populated with a lot of "order starters" in the first twenty pages. So this week, please take a walk down to your Business Intelligence team, and ask them to demonstrate how each item in your catalog performed as an "order starter". Please consider paginating your catalog based on the items most likely to "start" an order, using the first twenty pages of the catalog to your advantage! Or give me a holler, and I'll help you complete this analysis. Sometimes, when you are a consultant, you enter into unusual situations. Such was the case when Anna Carter's VP of Marketing, Sarah Wheldon, the former VP of Marketing at Gliebers Dresses, called me in to "have lunch". Sarah: "Kevin, it is so nice to see you. Now, from what I heard, Roger lost a sock in the dryer and basically voted you off the island, right?" Kevin: "Well, that is confidential, I cannot talk about any of the circumstances surrounding their business." Sarah: "Sure. I heard that their business was down something like ten percent to plan, and that the only way they boosted sales was via crazy levels of discounting. Is that right?" Kevin: "Again, that information is confidential. Though you don't have to be a rocket scientist to know that many folks are discounting at levels previously unheard of." Sarah: "But what do you hear from the folks at Gliebers Dresses? I mean, from what people tell me, it's literally a state of chaos. I heard that Lois is running the business into the ground with her stupid loyalty program, and I heard that Roger's office is piled a mile high with research white papers on how to be excellent." Kevin: "Now Anna Carter hasn't done any discounting this Holiday season. How the heck did you pull that off?" Sarah: "Inventory management and accurate forecasting. As long as you know how much you are likely to sell at the start of the year, you don't need to clear everything at a discount." Kevin: "But you discontinued your catalog in October, right? You were going to discontinue mailing it in early 2010, but it looks like you started early. How the heck did you accomplish this transition without putting a huge amount of inventory at risk?" Sarah: "We did a test in February and March and early April. We did not mail one single catalog between February 1 and April 15, not one. We measured how customers behaved during this "paper vacation". And we learned a ton." Sarah: "We learned that e-mail marketing metrics all improved, immediately. Instead of getting a paltry $0.20 per campaign, we got $0.35 per campaign in February, and $0.45 per campaign in March. It turns out that catalog mailings cannibalize the living daylights out of e-mail marketing. Well, that, and the fact that so many e-mail orders were being inaccurately matched back to catalogs by ResponseShop's 'ChannelMAX' algorithm". Kevin: "Yes, lots of catalogers see that when they execute catalog holdout groups. It is something that you never know happens unless you do testing, or in your case, shut a channel down for a bit." Sarah: "We also noticed that, by mid-March, customer behavior changed. Customers in urban and suburban zip codes began visiting the website much more often, and began ordering 'on their own', if you will. Now what they bought was different than what was purchased when catalogs were mailed. The customers purchased fashion products more often, basics less often. But still, we could accurately forecast based off of what we saw happening. Kevin: "What happened to other online marketing channels?" Sarah: "Funny you should ask. Our portal advertising productivity improved by about 70%. Our search marketing productivity improved by 100%. This allowed us to project that we could spend a fortune in each of those advertising channels, generating incremental demand and customers that we wouldn't normally acquire." Kevin: "I imagine that customer acquisition really suffered, right?" Sarah: "It sure did. Now, that being said, we projected what size business we would have without catalog advertising. We calculated that our business would shrink, over five years, by about 35%. But, our EBIT, earnings before interest and taxes, was projected to double. Kevin, you know that you don't take empty calories to the bank, you take profit dollars to the bank. We will be able to invest the increase in profit in online marketing, in website development, in a user review platform, in website personalization, in cross-sell algorithms, in social media activities, and in other forms of offline advertising. We will be able to offer $4 shipping, all day, every day, we won't be like Glieber Dresses, offering free shipping promotions followed by $16 shipping." Kevin: "If EBIT doubles, then that means that a ton of orders were being incorrectly allocated back to catalog activities via ChannelMAX, correct?" Sarah: "Exactly! Listen, we've been blasted by our contemporaries. Every vendor in the industry called to tell me what a moron I was. Our paper rep said I'd be out of business in two years. Our co-op rep told me that she'd join me in the unemployment line if more companies did what we did. We were mocked at the annual Direct Marketing Alliance conference by a dozen different speakers. Everybody is an expert, Kevin. It's a shame that everybody isn't held accountable for their foolish predictions. That level of accountability would cause Twitter to shut down for a month!" Kevin: "Did you anger any of your loyal customers?" Sarah: "Yes, tons of them. You should read the hate mail. All of it on stationary, written with ball point pens, with the script appearing to be just a little bit unstable. That tells you that the customers we angered are generally sixty years old, or older. We received a few e-mail complaints. We barely got any complaints via Facebook or Twitter. It's pretty easy to infer who the audience was that purchased from catalogs." Kevin: "So you are willing to let those customers go?" Sarah: "Yes, we're willing to let those customers go. They can buy from Gliebers Dresses if they want. We aren't about market share. We are about profit. And honestly, we're not telling those customers they cannot buy from us. They can come to our website and purchase." Kevin: "You were such a huge catalog advocate. What happened?" Sarah: "I got to see a different way to run a business. I got to see what happens when leadership is passionate about merchandise. At Gliebers Dresses, outside of Meredith Thompson, they only care about catalogs, discounts, and promotions. This company loves the connection between merchandise and customers. For all of the marketing expertise out there, it is amazing how few marketing leaders talk about the connection between merchandise and customers." Kevin: "Ok, Sarah, I think our time is up, I need to catch a plane. It was nice seeing you." Sarah: "It was nice seeing you, Kevin. If you don't mind me asking, would you have any interest in meeting with the management team for a few days? We'd like to pick your brain about some of the 2010 strategies we're employing. I doubt you signed a non-compete with Gliebers Dresses." Kevin: "I didn't sign a non-compete, so maybe we can chat about what a mini-project would look like." Sarah: "Good, I'll have my folks get in touch!" Customer Loyalty: Open Your Spreadsheets! Here's one for those of you who have been following along with your own spreadsheet (e-mail me for your copy). Quiz: Using the customer retention index line (cells C5 - G5), figure out how much you have to increase customer retention in order for this business to hit $80,000,000 in Year 5. Use the comments section of this post to outline your solution. There are many different solutions that get you to the same answer. Buy the book here, if you are so inclined! Those of you in the audience who spent all but the last few years being wined and dined by vendors at the Catalog Conference may enjoy one final glass of champagne this evening ... the ACCM is no more. Of course, the Catalog Conference really wasn't the Catalog Conference once it became the "ACCM". Catalog marketers paid close attention to the name change, opting instead for Internet Retailer and Shop.org for advanced marketing topics. Shop.org and Internet Retailer would be well-served by a post-mortem of the missteps of ACCM. A decade from now, it is not hard to envision an environment where Shop.org and Internet Retailer are considered old-school fossils when compared with the Hologram Marketing Conference (HMC) --- I mean, who the heck would use coal-based e-commerce servers to place orders on landfill-unfriendly laptops when one is able to verbally tell a solar-powered Hologram to buy whatever you want in a virtual shopping environment in your own living room? You can only imagine the session titles at the old-school conferences ... "E-Commerce + Hologram Marketing, Using Your Website To Drive Multichannel Traffic To Your Personalized Hologram", or "Don't Forget Twitter When Launching Your Hologram Marketing Campaigns". You can imagine the rhetoric ... "Customers who use both e-commerce and hologram marketing spend 88% more than customers who use just hologram marketing, according to Woodside Research." Sounds odd now, but we all know it is coming. Catalogers, what are your favorite memories of the Catalog Conference? The best reason to dig into Online Marketing Simulations (buy the book, purchase via Kindle, or buy a digital download) is to find inefficiencies in your business. Here's the deal. The vast majority of online marketing focuses on "easy conversions". SEO --- close to free. E-Mail via batch-based campaigns --- close to free. Promotions --- free shipping, % off, GWP, PWP. Paid Search --- expensive, but better when coupled with a promotion. There are what I call "hard conversions". These are the conversions that happen the old fashioned way, when a customer finds your product so compelling that they cannot resist it. Hard conversions often lead to loyal customers. So the goal is to find hard conversions that lead to long-term value. That's not easy. But that's what the OMS methodology enables you to do. See, you'd rather get half of the clicks if it means that those customers are worth double or triple the value of easy conversions, right? I'm here to tell you that Online Marketing is inherently inefficient. The entire ecosystem, and the Web Analytics solutions that measure the ecosystem, create a giant feedback loop based on easy conversions. It's easy to see how the conversion funnel worked via Google Analytics. Now try to use Google Analytics to measure the five year simulated trajectory of your business, based on the customers who fall through the purchase funnel and eventually convert. Or Omniture. Or Coremetrics. We use Online Marketing Simulations to find inefficiencies, seeking to optimize the long-term health of our business. Those who use Online Marketing Simulations have a clear competitive advantage over those optimizing the business based on conversion rates. "Have you looked at this L.L. Bean catalog cover? Are they selling product or promotions?" The same thought came to mind when viewing the other half of the promotional arms race from Lands' End. Last week, I received the following e-mail marketing messages (wording isn't exact, promotions are). Message #1 = Final day of 25% off of everything plus free shipping. Message #2 = 25% off everything plus free shipping extended one day. Messages #3-4 = Up to 50% off all outerwear plus free shipping, two days only. Message #5: 25% off everything plus free shipping. L.L. Bean and Lands' End, of course, are not catalog brands, and they certainly are not alone in their pursuit of market share via compelling discounts and promotions, are they? They do, however, represent the fabled multi-channel brand, combining stores and e-commerce and catalog advertising and e-mail marketing and search marketing and affiliate marketing and portal advertising and social media and mobile marketing and television advertising and radio advertising and billboard advertising and newspaper advertising and magazine advertising and telemarketing and co-branded credit marketing and postcard marketing and package insert marketing and discounts and promotions into something that the pundits believe is nothing short of customer nirvana. If all of that stuff worked as the pundits suggest it should work, would any multichannel brand have to give you free shipping and 50% off outerwear in order to encourage a purchase during the busiest shopping period of the entire year, a period of time when the customer is most likely to buy outerwear? You, of course, are a Catalog CEO. You are not required to discount to such apocalyptic levels, because you don't have to "be competitive" with retail stores in the same way that L.L. Bean and Lands' End theoretically have to. Discounts and promotions are our version of "financial weapons of mass destruction". They are taxes placed upon brands for being unremarkable. Step 1: Categorize customers into one of four buckets. Historical customer who only purchases merchandise at full-price, and never uses discounts/promos. Historical customer who buys using a mix of full-price, sale, discounts, and promos. Historical customer who only buys using a mix of sale items, discounts, and promotions, never purchasing full-price merchandise. Step 2: Sum demand spent within each of the four groups --- full-price items with no promotions, sale-priced items with no promotions, full-price items using discounts/promos, sale-items using discounts/promos. Step 3: Run this report, for the month of December, for each of the past three years. What do you observe? Are you converting all of your full-price customers to sale items? Are you converting all of your customers to ones who only buy when there is a discount or promotion? Do discount/promo/sale customers ever purchase full-price merchandise without the aid of a discount or promotion? We all know that the best way to manage a brand is to acquire customers who willingly pay full-price, without any need for external stimulation. The minute we pollute the customer file with customers who thrive on the need for external stimulation (% off, discounts, promotions), we place the long-term, full-priced health of our business at risk ... we insert a game (% off, discounts, promotions) in-between the customer and merchandise. Eventually, the purchase of merchandise becomes "conditional" on "playing the game" ... never a good thing. As always, I am available to help you create sale/promo reporting that illustrates if your business is being skewed toward an unsustainable mix of promotional buyers. Contact me at your convenience for assistance. Today, I am visiting the offices of ResponseShop, the co-op that Gliebers Dresses does most of their customer acquisition work with, meeting with account VP Rob Clarke. Rob: "Kevin, thanks for coming, though I don't understand why you are here today?" Kevin: "Glenn Glieber asked me to visit all key Gliebers Dresses marketing vendors, to understand how each vendor is helping Gliebers Dresses become more successful." Rob: "You did something to get voted off the island, didn't you? This happens to all Gleibers Dresses consultants. Eventually, they say something that ticks off Roger Morgan, and they're banned from the building until they are willing to play ball again. Why do you think Chip Cayman only shows up there three or four times a year?" Kevin: "I don't know about that. My job is to support Mr. Glieber." Rob: "Sure it is. Anyway, what did you come all the way here to ask me about?" Kevin: "Let's talk about the names you provide Gliebers Dresses." Rob: "The absolute best names available anywhere. We have this thing called a 'harmony model', and it selects the absolute best names available anywhere." Kevin: "And who are those 'best names available anywhere'? Can you describe for me the demographic composition of the names?" Rob: "Well, we don't look at the world that way. See, these are names that are in 'harmony' with your business. They have similar buying habits and merchandise preferences across other companies." Kevin: "So you don't really know who these customers are?" Rob: "Yes, we do. They are customers who are in 'harmony' with Gliebers Dresses customers. A complex set of equations dictate who scores high in a harmony model. Our statisticians are among the best in the industry, doctorate degree holders and entry-level statisticians who really focus on complex math." Kevin: "We carefully analyze ResponseShop sourced buyers. There are some very interesting trends. Did you know that the names you give Gliebers Dresses disproportionately prefer telephone transactions over online transactions?" Rob: "Well, we don't really look at the world that way. We really care about simply finding customers who buy something from Gliebers Dresses." Kevin: "Across all sources of acquisition, ResponseShop has the highest proportion of customers who order over the telephone. This is important, because those names are the easiest to track, meaning that ResponseShop gets more credit for these names, making ResponseShop performance look best, causing Gleibers Dresses to allocate more of their customer acquisition budget to ResponseShop." Rob: "That's silly. We have our new matchback tool, called 'ChannelMAX'. It clearly points out who buys online or in any other channel. We'll find those online buyers, and allocate them back to the catalog mailing that drove the order. In fact, any order within sixty days of a mailing is matched back to the original catalog." Kevin: "That's a problem, Rob. We did a test at Gliebers Dresses. We purposely chose not to put 50,000 harmony model names in the mail. Then we looked at the results via ChannelMAX. It turns out that 60% of the housefile orders and 15% of the customer acquisition orders would have happened if no catalog was mailed. This means that ChannelMAX is over-stating results, which means that your clients unprofitably over-mail customers, causing your profit and loss statement to look really good." Rob: "It's simple matchback business rules, Kevin. We just hope you use the tool as designed." Kevin: "But all you have to do is encourage your clients to do holdout tests, like Gliebers Dresses did, then put the holdout tests into ChannelMAX. Your clients will learn that they are over-mailing customers, often significantly. Your clients will become much more profitable. Don't you want your clients to be more profitable?" Rob: "Again, we encourage catalogers to apply simple matchback business rules. We fully believe in our matchback strategy. We're using leading-edge technology to match harmony model purchasers back to the catalog that drove the order. The same thing happens online, but I don't hear anybody complaining about Google cannibalizing orders." Kevin: "Here's another question. You charge Gliebers Dresses six cents per name, but you charge other clients five cents per name, or even less in some instances, correct?" Rob: "We negotiate specific deals with every one of our clients. We strongly believe that each client receives maximum value for their investment with ResponseShop." Kevin: "And Gliebers Dresses is paying for gross names, correct?" Rob: "Correct, they pay six cents for each of the 100,000 names they select via the harmony model." Kevin: "And then Gliebers Dresses executes a merge/purge, and finds out that 67,000 names are already on their database. Gliebers Dresses can only mail 33,000 names. So, ultimately, Gliebers Dresses is paying eighteen cents per name, correct?" Rob: "We're not holding a gun to their head, Kevin. They can do what they want with the information. Some companies use multi buyers in very creative ways, or they populate their internal customer database with the information that comes from the merge/purge process. You cannot put a dollar value on that type of information." Kevin: "Well, no, they are already mailing the names, because the names are already on their housefile. Wouldn't it make sense to develop a relationship that is more equitable for Gliebers Dresses, so that they can mail more of your names? Eighteen cents per name is insane, given that they pay Google maybe fifty cents per click, and that potential customer has raised her hand, demonstrating interest in a specific item. Couldn't there be some sort of sliding payment scale, based on how deep the client mails, coupled with the names that net out of the merge?" Rob: "We've actually done the math on this one, and the pricing model we currently employ is close to optimal for both parties, and is highly competitive with other co-ops in our industry." Kevin: "We looked at the merchandise that harmony model customers purchase. The merchandise is skewed toward 'basics', skewed away from 'fashion'. It turns out that, as ResponseShop becomes a larger and larger contributor of names to Gliebers Dresses, that the business skews more and more toward customers who like 'basics'. And basics have a lower profit margin, making it increasingly harder for Gliebers Dresses to sell high-margin fashion items in the future. Can your harmony model account for this, and instead focus on finding buyers that buy high-margin fashion items?" Rob: "Well, we don't really care what merchandise the customer buys, that's between the customer and Gliebers Dresses. We just want the names to perform the best." Kevin: "I've got everything I need from this visit, Rob, thanks for taking the time to chat with me." Rob: "Seems like a long way to come for so little information, Kevin. Hopefully you'll get out of the Roger Morgan doghouse soon. We've been with Gliebers Dresses since 1994, I think we know how to take care of Roger. We feed him a lot of white papers and research articles. When we give him 'food for thought', he tends to stay out of our way." One of the most important skills you can acquire is the gift of "anticipation". This isn't an easy skill to obtain, and it requires you to spend a lot of time listening to what others say. In late 2002, our ability to forecast new store performance at Nordstrom wasn't as good as we wanted for it to be. My Business Intelligence Director, without being specifically asked to do so by management, created a new real estate model, one that we could backtest against prior store openings. He was able to demonstrate that his model was much more accurate than anything that had been done. And even though his model was scrutinized by management, it was implemented. Future forecasts were much closer to actual performance. This person, the Business Intelligence Director, had no prior experience in new store forecasting. This person, however, could anticipate what the company needed. This person anticipated what the biggest "pain point" was ... forecasts that were not accurate. By anticipating what was needed (a new forecasting model) and by anticipating what the pain point was (accuracy), this person became an important part of an expensive capital investment process at Nordstrom. This is the opportunity that is available to you, dear analyst. You, too, can make a difference, in fact, you already make a difference. But you can expand your sphere of influence by listening to what leadership is actually saying, by anticipating needs and building solutions to those needs before leadership specifically asks somebody to solve a problem for them. 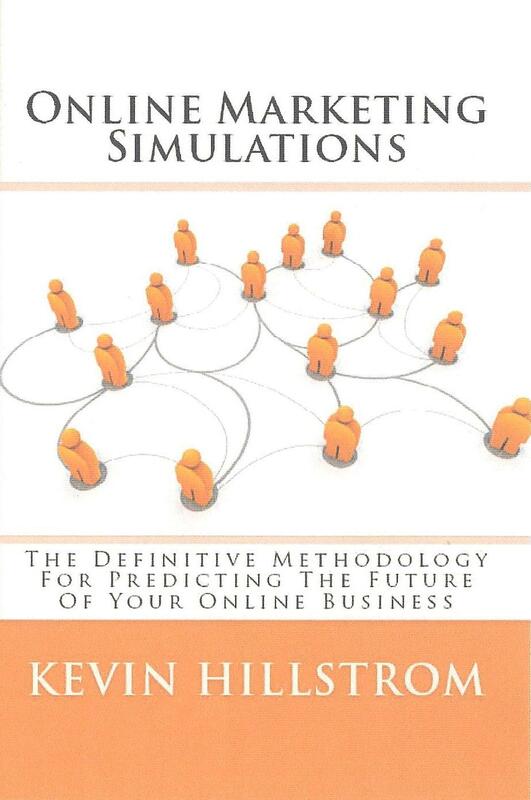 By now you are using Online Marketing Simulations (book, kindle, digital download, contact me for a free spreadsheet, or hire me) to understand how customer behavior evolves over time. You are probably excited about some of the unique ways that customers behave, and you probably know a lot more about how to grow your business for long-term success. Now, you probably want to know how much you should invest, in order to maximize your opportunity, right? Here's where "Ad Curves" come into play. Click here for a brief article about Ad Curves. When I am working with a CEO, CFO, or CMO, I combine the results of an Online Marketing Simulation with Ad Curves, yielding the optimal strategy necessary to yield profitable long-term success. If you are managing e-mail marketing, paid search, or print marketing campaigns, you'll appreciate the insights gained by combining Online Marketing Simulations with Ad Curves! Webinar! Who Wants To Hear Me Talk In A Free Webinar?? I'll be sharing information on Tuesday about multichannel data integration, including a few tidbits about how retail brands can learn how website visits are combined with store purchases for a complete view of customer behavior. Birst is hosting the free webinar --- click on this link to attend! An interesting trend is emerging in catalog marketing. Back in the day, we'd measure how fast "catalog" customers were migrating to the "online" channel. 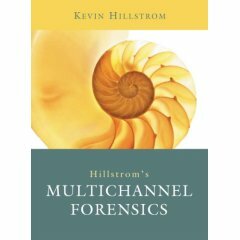 Multichannel Forensics were invented, in large part, to determine how fast this transition was happening, helping us understand how to deal with the transition. In the past eighteen months, I'd say that the word "transition" no longer applies to our business. It appears that the transition online is, for the most part, complete. Trending, over time, illustrates a fundamental change. For instance, one might see the following migration probability indices, over time. Phone To Online Index: 2000 = 10%. 2003 = 35%. 2006 = 25%. 2009 = 20%. Online To Phone Index: 2000 = 50%. 2003 = 30%. 2006 = 15%. 2009 = 5%. In other words, around the "turn of the century", phone customers were unlikely to shop online, and online customers were unlikely to stay loyal to the online channel. By 2003, it was a "free for all", as customers were thoroughly "multichannel". Catalogs drove web sales, online customers spoke with customer service associates, everything interacted. And this is the problem with being "multichannel". Multichannel is a transitional phase, as customers migrate from old to new. Eventually, the customer lands on a preferred channel ... until something new displaces it. When that happens, "multichannel" becomes important again. For many companies, 2009 represents an era of channel stability. All customers who were going to move online have, for the most part, done so. Online customers become unlikely to use the phone to shop, and in doing so, begin to become unresponsive to catalog marketing. It is important to understand how channel shift happens over time. When customers settle upon their preferred channel, you can greatly reduce marketing expense. When customers are shifting across channels, marketing expenses tend to rise. In my projects, I look for channel stability. When I find channel stability, I quickly identify the customer audience that requires considerably less advertising, and strongly advocate a reduction in offline marketing spend to the audience that now prefers "all things digital". "Channel Stability" should be an area of emphasis for our businesses in 2010. Have your analytics teams study this trend for you, and be sure to begin reductions in offline marketing to customers who prefer "all things digital". As always, I am here to support you! Glenn Glieber (Owner): "And honestly, this past week was the best sales week we've had in several years. Oh, it feels so good to actually celebrate for once." Meredith Thompson (Chief Marketing Officer): "Kevin, is that you?" Lois Gladstone (Chief Financial Officer): "We're just celebrating our big Cyber Monday promotion, which helped contribute to one of the biggest sales weeks we've had in a half-decade." Kevin: "Great! How did you do it?" Roger Morgan (Chief Operations Officer): "Actually, it was my idea! We needed to do something to really stand out. So we implemented a radical promotion across all channels ... Free Shipping Plus 20% Off From Thanksgiving Through December 3, and Free Shipping Plus 35% Off On Cyber Monday." Lois Gladstone: "And you should have seen how customers responded. The promotion went viral on Twitter. Sales were 40% better than last year on Cyber Monday. Now we're moving some inventory, folks!" Kevin: "So Pepper, which customers took advantage of the promotion?" Roger Morgan: "Who cares who took advantage of the promotion?" Lois Gladstone: "Yeah, who cares?" Pepper Morgan (Chief Marketing Officer): "Boris Feldman tells me that half of the customers were first time buyers ..."
Roger Morgan: "Yes!!! We introduced a large number of new customers to the brand!" Pepper Morgan: "... and of the half that were existing customers, half were previously full-price customers who we converted to promotional buyers, half were previous promotional buyers." Kevin: "Pepper, do promotional buyers purchase full-price merchandise in the future?" Pepper Morgan: "Boris looked at this. Last year's Cyber Monday promotional buyers had a 19% repurchase rate, while all other customers had a 55% repurchase rate." Kevin: "Did Gliebers Dresses make money on last year's Cyber Monday promotional buyers?" Pepper Morgan: "Actually, no, we lost money, because those customers didn't respond to our marketing efforts. We spent catalog dollars and did not get a sufficient return on investment." Lois Gladstone: "But this is a customer management issue, right? Let's just not market to Cyber Monday buyers. That way, we reap the benefits of our Cyber Monday promotion, we generate profit, and then who cares if the customer ever comes back, right? 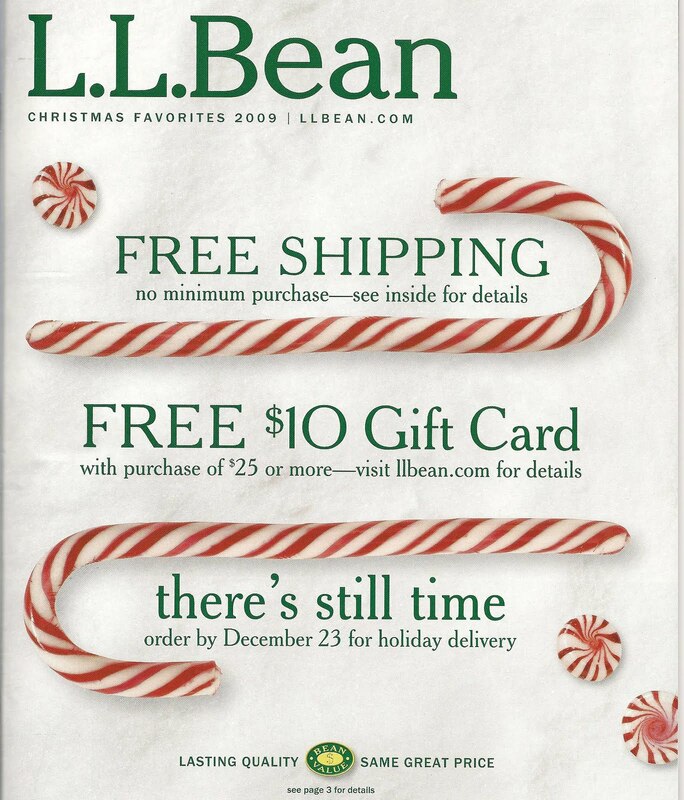 We don't ever have to mail catalogs to those discount-hungry shoppers. Let's just collect our $4 of profit and head home." Roger Morgan: "Yes, who cares if the customer ever comes back?" Meredith Thompson: "Well, I kinda care. The only reason we are in business is to profitably sell dresses, right?" Lois Gladstone: "And you did that, Meredith. The average order value for a Cyber Monday promotional buyer was $120. Our gross margin is about 50%. So we generate $60 of margin, then we subtract $42 for the promotion, we subtract $14 to pick/pack/ship the item, and we're left with $4 of glorious profit. You moved merchandise, and you made $4 of profit per order, assuming items aren't returned." Kevin: "What did Anna Carter do on Cyber Monday?" Pepper Morgan: "They did not run a single promotion. Everything was at full price. This means that on a $120 order, they generated $60 of gross margin, offset by $14 of pick/pack/ship expense, and then they got shipping and handling revenue. They probably made $55 of profit per order." Kevin: "This means that Gliebers Dresses has to generate fourteen orders for every one order that Anna Carter generated, in order to be more profitable than Anna Carter. Do you think that your business was fourteen times better than Anna Carter on Monday?" Lois Gladstone: "We probably did three times as well as Anna Carter on Monday. That's huge!" Roger Morgan: "But what about market share, Kevin? We absolutely dominated on Monday. We gained market share. That means something. That means we stole orders that would have gone to our competition. We hurt our competition on Monday, we put a dagger in their heart. Isn't market share worth something? I mean, everybody is contracting. On Cyber Monday, we grew. Neptune Research says that the companies that succeed in a recession are those who gain market share." Kevin: "Sure it is worth something. But so is profit. Your business model was responsible for 3,000 orders at $4 profit per order, for a total of $12,000 profit. Anna Carter probably generated only 1,000 orders, at $55 profit per order, for a total of $55,000 profit. So, yes, you stole market share from Anna Carter. And Anna Carter has an additional $43,000 profit to invest in order entry systems or marketing activities or employee bonuses. Now, granted, maybe you stole 1,000 orders from Anna Carter, hurting them a bit, giving you an additional $4,000 profit. But if Boris is right, only 19% of Cyber Monday buyers repurchase, so you haven't impacted long-term market share, you just bought a bunch of orders for a few dollars of short-term profit. You haven't built something that is lasting. The entire history of Gliebers Dresses has been of a business model that was built to last. Now you are trying to prop-up a psuedo Holiday, and for what?" Roger Morgan: "But what is wrong with that, Kevin? If we're more profitable for doing this, and Anna Carter is less profitable, then we won, right? I don't get it. Am I missing something? This is a simple profit and loss and marketshare game, and we won." Kevin: "I don't think Gliebers Dresses is asking the right question. What would have happened if you offered 20% off plus free shipping? What would have happened if you offered 10% off plus free shipping? What would have happened if you only offered free shipping? What would have happened if you didn't offer a single promotion, like what Anna Carter did? Had you executed a multivariate test with different promotional levels as test cells, you could have known specifically which level of promotional activity yielded the best outcome. You reacted to the marketplace, competing not on profit, but on who can offer the most glorious promotion. You weren't selling dresses on Cyber Monday, you were selling the best promotion available. Customers will always, always be able to find a better promotion." Roger Morgan: "You know what, Kevin, you're a downer. You are always telling us what we should be doing, always pointing out our flaws. You're a consultant, you aren't in the trenches with us. It is so easy for consultants to point out flaws. You go on Twitter and tell everybody what they should be doing. Who cares what pundits and gurus on Twitter think, they aren't running real businesses like we are. Down here, in the trenches, we're fighting for every order we get. We have to remain competitive, heck, everybody is out there on Cyber Monday giving away the house in order to keep customers. You try to sit in this room and explain to your Owner why we didn't run a promotion on Cyber Monday and generated only 1,000 orders instead of 3,000 orders. You then try to liquidate 2,000 orders worth of merchandise at a significant discount in January, completely cannibalizing your full-price business. Things aren't all cut and dried, like marketing pundits make them seem. As far as I am concerned, you can offer us some encouragement, or you can just keep quiet over there. I'm tired of being beat up by experts, I like being encouraged by research organizations who are promoting growth strategies." Lois Gladstone: "Yeah Roger, I'm with you. It's one thing to offer pithy advice. It's another thing to be in the trenches, actually trying to keep a business afloat. You never supported our loyalty program, Kevin, you criticized us for giving away shipping and handling dollars there, too. What is your problem? Why do you hate promotions?" Kevin: "I don't hate promotions. I fully support discounting and promotions when you have to clear inventory --- you cannot sit there and let inventory pile up. I get that. But, I am FAR more interested in the reason WHY promotions happen. Glenn, has the Monday after Thanksgiving always been one of the busiest days of the year at Gliebers Dresses?" Glenn Glieber: "Ever since the 1980s, Kevin." Kevin: "And when did you start offering discounts and promotions for Cyber Monday?" Meredith Thompson: "We started offering Cyber Monday promotions in 2003." Kevin: "And why did you start offering Cyber Monday promotions?" Roger Morgan: "Woodside Research told us that Cyber Monday was a huge opportunity for online marketers to gain market share by offering promotions to eager holiday shoppers. They said that by 2005, 85% of online marketers would be offering sales and promotions to customers on Cyber Monday. And guess what, they were right." Kevin: "So ever since the 1980s, this was a huge day. But in the last ten years, trade organizations and research organizations told you that you had to run your business in a different way, they told you that you had to offer discounts and promotions to lure bargain shoppers. Businesses listened. Now we have a big event that the media created and actively promotes ... they make money off of it via advertising, but at Gliebers Dresses, you compromise $55 of profit per order so that you can be competitive, competing for orders that generate $4 of profit. Basically, a combination of research organizations and media outlets hijacked one of the busiest days of the year for their own purposes, and you are left clawing for three times more orders than you would otherwise get, in theory, orders that generate 90% less profit. If pointing out this fact to you is a bad thing, then I'll gladly not participate in your meetings if you don't want me here. I am not going to come to these meetings and tell you a quaint bedtime story that makes you feel good. My job is to encourage you to think about the profitable decisions you make. And in the case of Cyber Monday, the logic doesn't support the level of discounting you've authored." Lois Gladstone: "But this is the problem with your advice, Kevin. It doesn't matter that you think research organizations and trade organizations created this holiday. Now, everybody participates. We have no choice but to participate, or we lose out on market share and orders, we end up with an inventory problem." Kevin: "You don't end up with an inventory problem if you don't give the store away and you plan for appropriate inventory levels nine months in advance. Anna Carter didn't participate in Cyber Monday. And by the way, did you get an iPod Touch for half-off at the Apple Store? Their store was absolutely crowded on Black Friday, and they don't discount. Did the iTunes store discount all digital music today in order to participate in Cyber Monday? Heck no!!! Go to Zappos, they aren't giving the store away, they just jack up the price of all items by $3, and then tell you that you are getting free shipping all day every day, end of story, and the public believes they are getting free shipping when they aren't. Discounts and promotions are taxes placed upon a brand for having unremarkable product, and they are unsustainable in the long-term. Honestly, how do you beat 2009 performance in 2010? Do you offer 40% off plus free shipping? And then how do you beat 2010 performance in 2011, do you offer 50% off plus free shipping? Where does it end?" Lois Gladstone: "Kevin, that's stupid. Everybody knows you have to make profit on every order, so you'd never offer 50% off plus free shipping. We'll do what we have to do in order to remain competitive." Glenn Glieber: "Well, Kevin, you certainly gave us an opportunity to reflect upon our actions. But I don't think we have much of a choice, we have to remain competitive. And honestly, I think Roger brings up something interesting to think about regarding your participation in these meetings. Enough for today, we need to move on to other topics. On Monday, we begin our inter-faith Holiday exposition in the lobby. Employees of all faiths are encouraged to decorate their designated area as appropriate for their Holiday belief system." Via Digital Download at Lulu, $4.99. Now, back to our regularly scheduled discussion. Open up your copy of the spreadsheet, and take a look at cells C18 - G18. What do you observe? The average price that a customer is paying, per item, is decreasing over time. In fact, during the next five years, the average price trend is forecast to decrease by about 9%. This accounts for half of the reason why sales are dropping like a rock. Look at cells C16 - G16. Even though prices are dropping, customers are not ordering more often. One might intuitively think that as prices drop, customers would become more "loyal", right? Look at cells C17 - G17. Even though prices are dropping, customers are not ordering more items per order. One might intuitively think that as prices drop, customers would be willing to buy more items. These are simple concepts ... prices, items, orders. 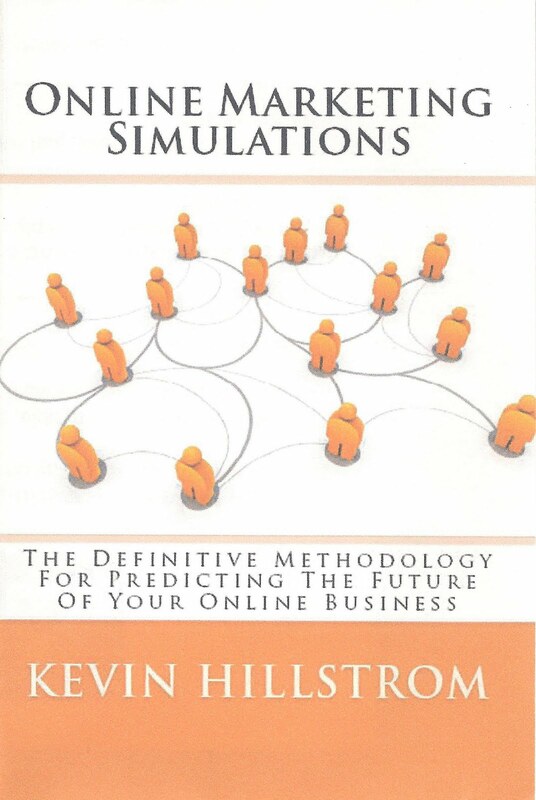 And yet, combining simple concepts with Online Marketing Simulations allow you to see a forth-coming catastrophe. So, I ask you the following question. Can you use Omniture, Coremetrics, Webtrends, Google Analytics, or any other software application to provide you with a five-year view of where your business is heading? If not, give me a holler! These days, the analytics and vendor community communicate to us how important it is to have integrated data, great software, dashboards filled with robust KPIs, and an outstanding testing infrastructure. Add "timing" to the list. "Timing" represents your ability to sense when Executives are receptive to key issues. Honestly, there are times when Executives need to hear your message, there are times when Executives want to hear your message, and there's the 80% of the time when Executives are not in a position to listen to or respond to your message. In order to sense if the timing is right for your message, you need to become good at "listening". Oh, I know you don't want to hear this, your analytics message should be self-evident, it is the Executive that is the Luddite who "doesn't get it". For good for for bad, if you aren't willing to listen, you are not likely to be heard. Back in the early 1990s, I executed a myriad of multivariate tests. I wrote summarizations of the tests, full of valuable KPIs that thoroughly explained how customers interacted with brands. The documents were circulated to every VP/Director at Lands' End. For two years, essentially nothing came of my tests or write-ups. And then, I became aware of a meeting that was going to happen on a Thursday, where Executives were going to talk about how customers interacted with brands. I became aware that very little of my information was going to be used. I couldn't just get myself (a lowly manager) invited to a meeting with Executives. So I did the next best thing. I worked all weekend, creating an 85 page Powerpoint presentation, summarizing everything I had learned across all of the tests I had analyzed over the past three years. I set up a meeting with the leaders of the Direct Marketing department, hosting the meeting one day prior to the big Executive meeting. At that meeting, I shared my "re-packaged" results. At the end of that meeting, our department head asked me to present my slides to the Executive team at the Executive meeting the next day. Now, mind you, for the previous 2-3 years, I had done everything that the analytics vendor community tells you to do. We had an integrated database, we had business intelligence software, we executed multivariate tests designed to optimize the business, we had dashboards and reports and KPIs, we circulated everything to every Executive. What was missing was timing. By listening to business leaders, I could tell that I had a brief window to "re-package" my information. I tried the exact same strategy at Eddie Bauer, in 1997, with one notable exception ... I failed to listen to leadership. I created about 60 slides that explained how customers interacted with our brands and channels, set up a big meeting, invited marketing leadership ... and almost nobody showed up. I didn't listen to the various ways that Executives at Eddie Bauer worked. As a result, my timing (which was good) was wasted because I didn't listen. There are so many ways that timing and listening are combined to yield success. At Nordstrom, our leadership team held quarterly conference calls with the investment community. About three weeks before these calls, I listened carefully to what our leadership team was talking about, then asked my team to query the database for answers to questions that were not being directly asked of my team. About a week before the conference call, I shared my findings with our investor relations director (and my boss). And then I'd listen to the conference call. About 40% of the time, I'd hear a metric that my team generated mentioned in the call. You can listen all of the time. This is a skill you must become good at. If you listen long enough, you'll develop an intuition for what is important, and this skill will inform the timing that makes magic happen.